Got more than only a hot price! Quality has its price. But nevertheless the latter can vary notably within one product group. 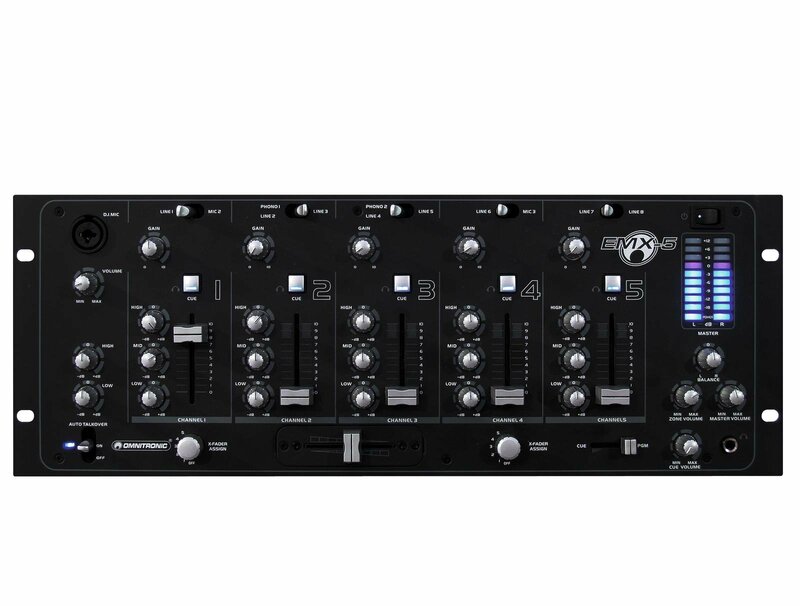 Therefore our OMNITRONIC EMX-5 sets the best example. 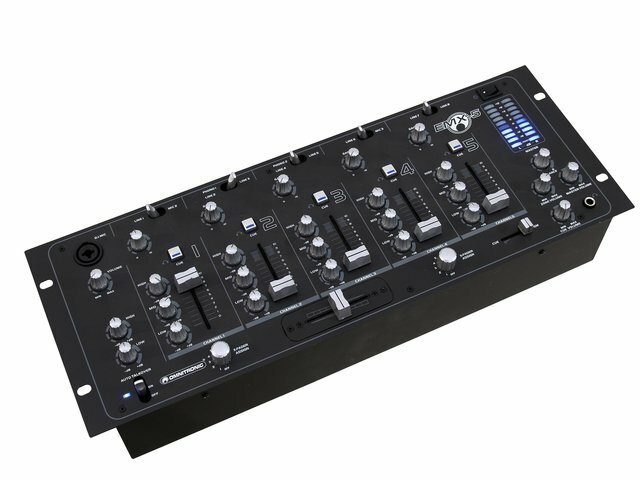 This 5 channel DJ mixer always meets the expectations for a plain and reliable mixer. 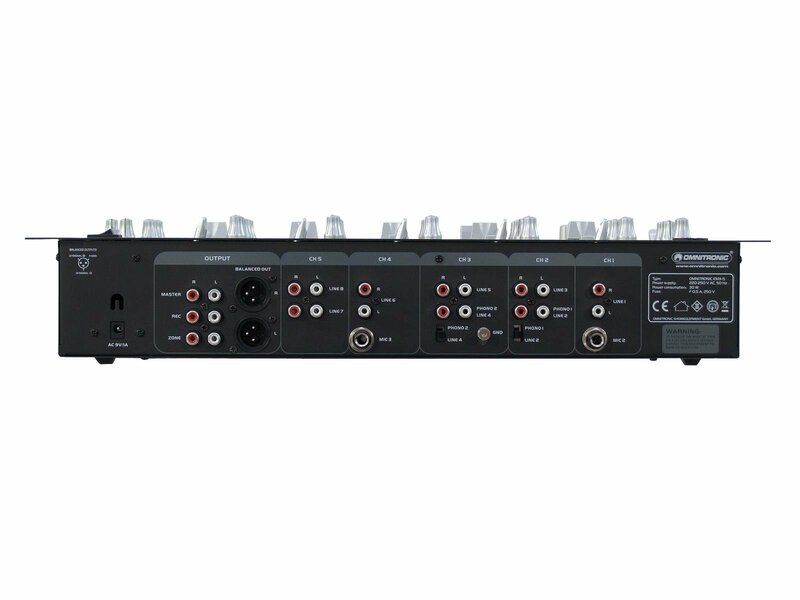 But compared to many other competitors with almost the identic equipment and the same quality, it offers a distinct price advantage. 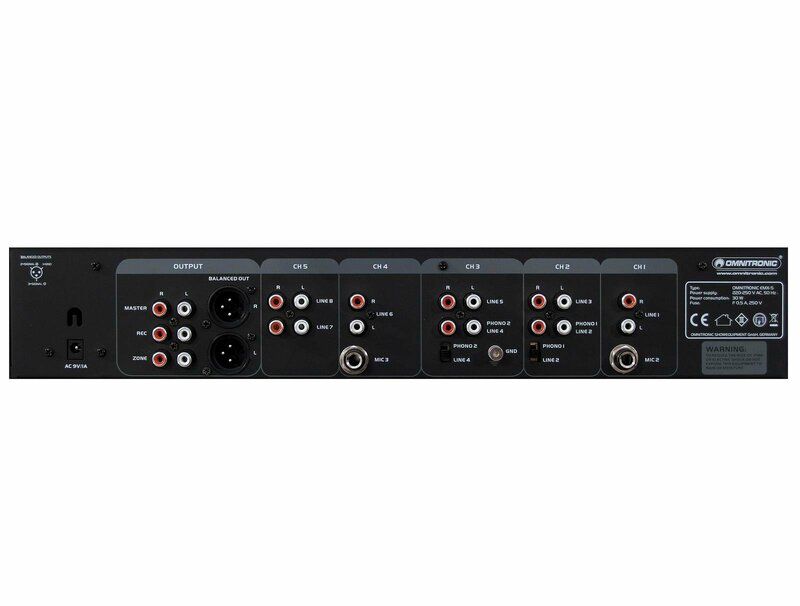 An convincing argument to our EMX-5. And a brief look at some features of its fitting already adds more weight to it. So the 5 input channels are provided with a gain control, a 3-band equalizer, a cue button and really smooth faders. 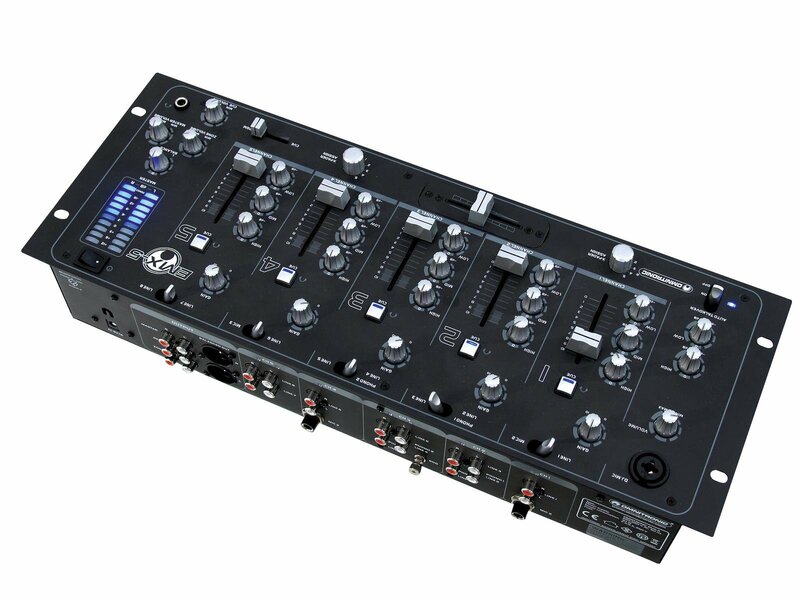 They are joined by a DJ microphone channel with talkover selector and a 2-band equalizer. 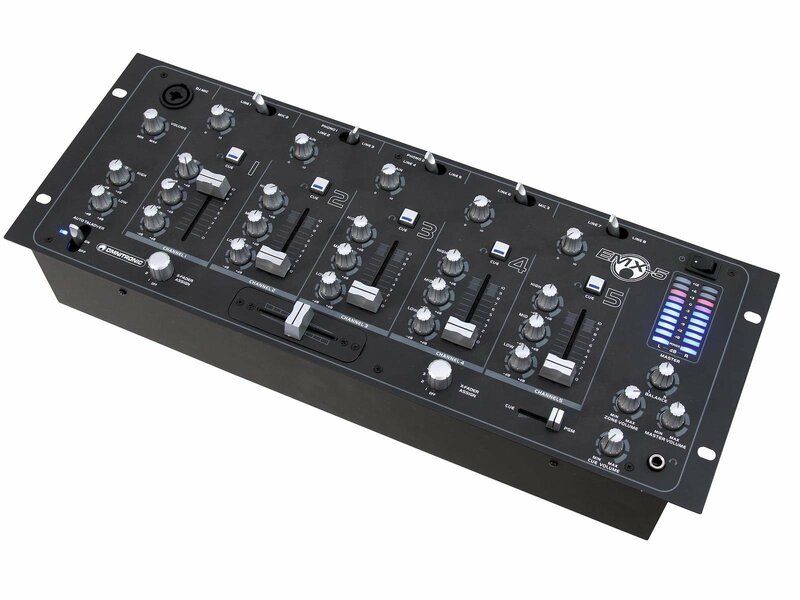 It also got a replaceable crossfader or a 10-digit stereo LED level meter for master output. But enough of these benefits. 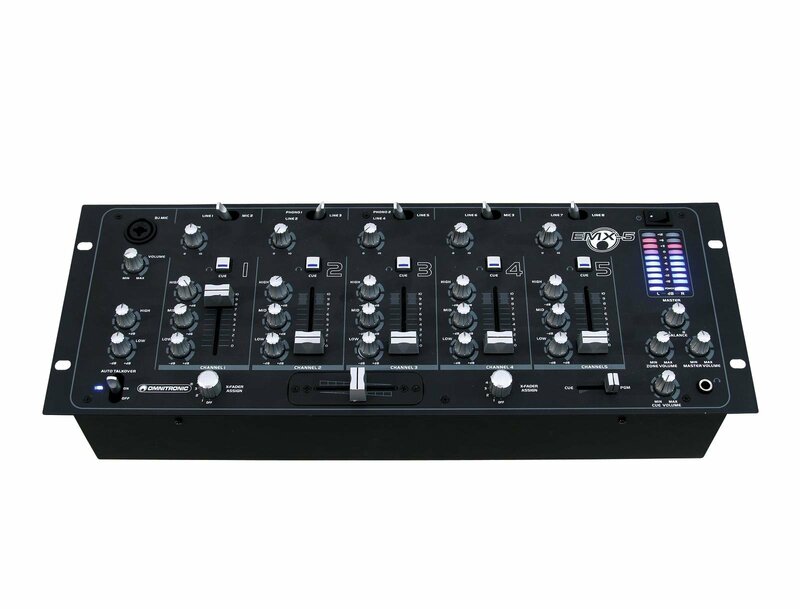 Just try this inexpensive mixer. It is not only the unbeatable price that will persuade you.